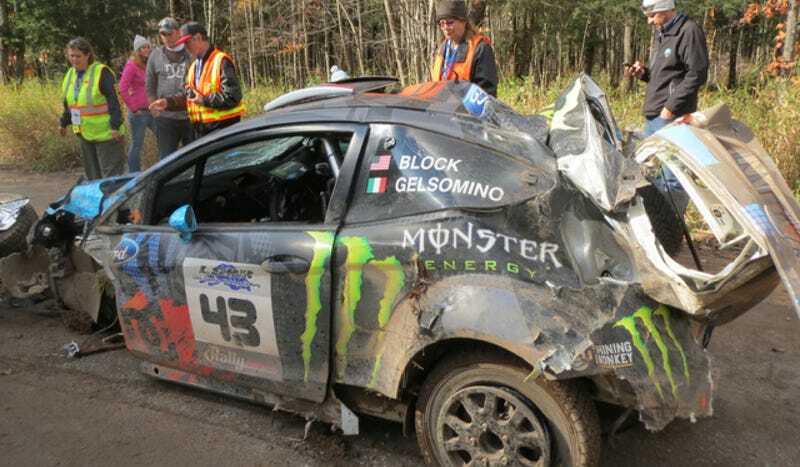 A stunning and catastrophic crash in November ended Ken Block's Rally America season. The photos of his smashed Ford Fiesta were intense. Now we're able to see what was going on. We saw those pictures of this a few months ago, thanks to thoushalthoonthyrallyetires. Luckily he and his co-driver Alex Gelsomino were free of major injuries. But in an interview released today with both men we're able to see in the car as it rolled numerous times after Ken says he hit "something in the weeds." Ken Block finally released the footage from his crash at LSPR.